Do you know what is the first graphic element that establishes your brand identity? Regardless the number of various marketing campaigns you have; Logo happens to have the throne. Be it a business card, a website, a brochure or something else — you cannot live without an effective logo. Due to this importance, most people do think that creating a logo is rocket science. Sorry to break it to you — it’s not. There are different ways you can use to create a custom logo for your business. There are even some tools that demand no knowledge of designing or aesthetics. Wix Logo Maker is one of those awesome tools. It is also the best option if you need control over the great logo you’re building for the business. This article will show you how to create a custom logo using Wix Logo Maker. Before we begin, however, you should know a few things about Wix Logo Maker. 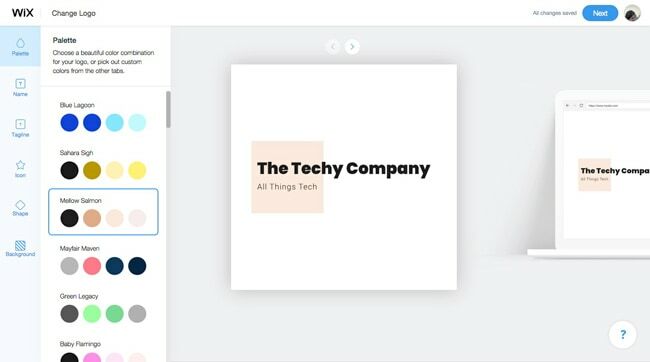 Wix Logo Maker is an easy-to-use logo maker service that demands no design knowledge or deep experience in Illustrator or Photoshop. 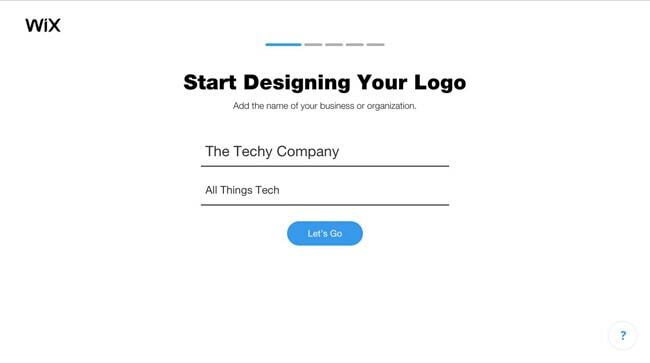 Instead, it lets you create stunning business logos in just a few seconds. 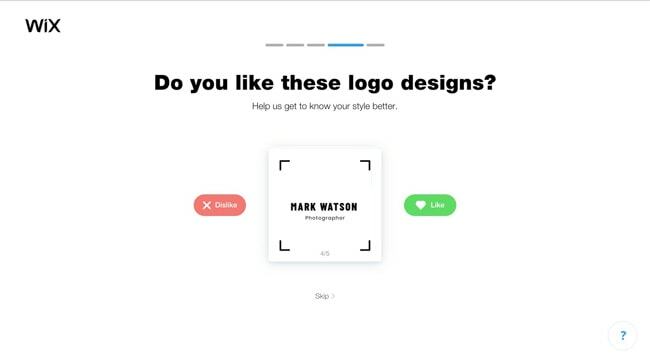 You will have to answer a few questions and mark some choices — and the Wix Logo Maker AI would do the rest. It’s touted as one of the easiest and effective ways to make awesome logos. It’s also a Do-It-Yourself platform where you have amazing control. Once you have the basic outline of the logo, Wix Logo Maker lets you customize it as per your needs. In light of our experience, we will recommend this tool to almost every user out there. It’s really great that you can even integrate the designed logo with your business website or social media profiles. Now that you have the basic idea, we will jump onto the steps for building a custom logo using this service. 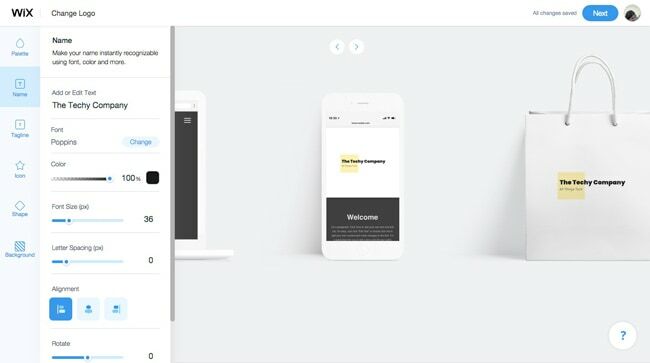 How to Build a Custom Logo Using Wix Logo Maker? 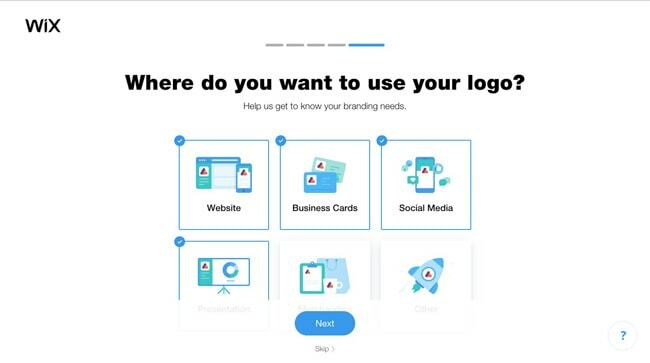 There aren’t many steps to build a custom logo if you are using Wix Logo Maker. Let’s go through those. 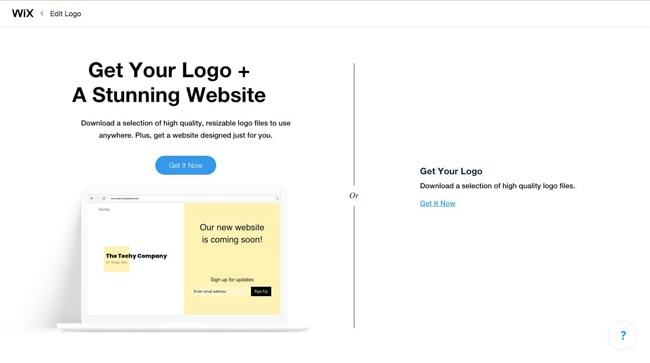 You have to log onto the official website of Wix Logo Maker and sign into the account. If you do not have a Wix account, you can create one for free as well. Hit the ‘Start Now’ button to begin the logo-making process. First, you have to provide the name and tagline of your business. The tagline is optional, though. 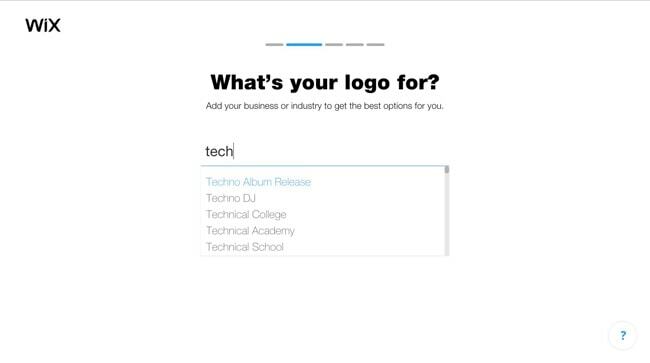 In the next step, select the business industry that your company belongs to. This data helps in making logos that are relevant. This section too wants you to add some inputs. 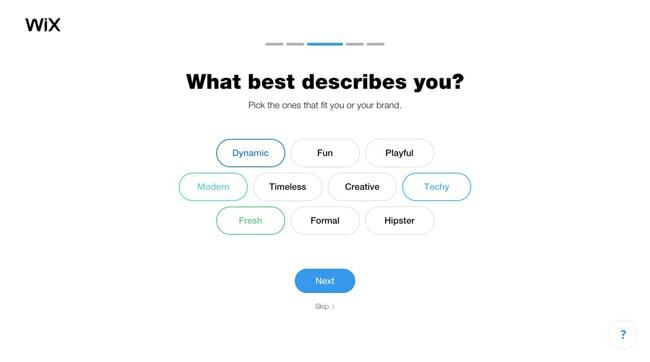 You can pick some words that characterize your business — like Dynamic, Modern, Fun, Creative, Techy, Fresh etc. One of the important steps, you have to tell which logos you like and which ones you don’t like. Through this step, the AI will understand what you’re looking for. Also, provide information on where you would be using the logo content. Available options include Websites, Business Cards, Social Media, Presentations etc. Now, wait for a few seconds while Wix Logo Maker analyzes your answers and brings you the perfect logo. In this screen, you will be able to see a complete list of different logos that Wix Logo Maker has made. You can browse through them and pick the right one. 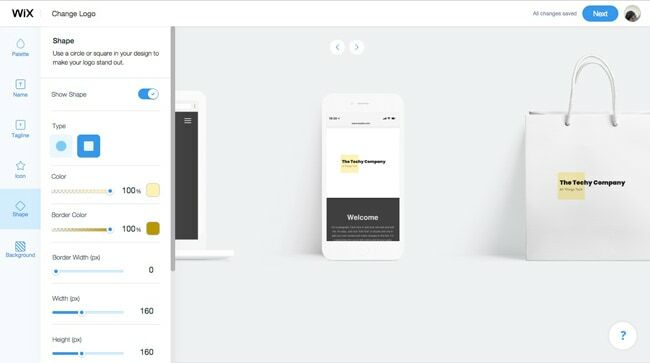 The best part is since you’re looking for a custom logo, Wix Logo Maker lets you customize it too. To do that, you have to click on the ‘Customize’ button. The customization screen is just awesome. You can change the logo as per your convenience and needs, as well as your design knowledge. For instance, you can try changing the Color Pattern of the logo, for starters. Similarly, you can customize the fonts and style of the name and tagline as well. There are even options to change the background and the logo icon if you are interested. All the while, Wix Logo Maker will be showing the previews on the right side. Once you are done customizing, click on the ‘Next’ button. Now, you can decide the Wix Logo Maker plan you want. You can either have a Website+Logo plan or a Logo standalone plan. Depending on your choice, you can pay the amount in the next page and get the Logo package. 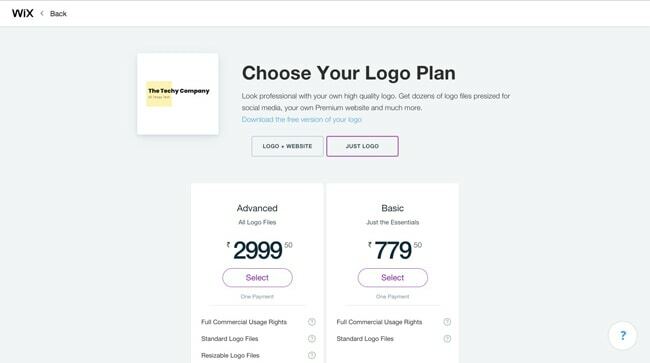 There is also an option to download the low-quality free version of your logo. So, this is how you create a custom logo using Wix Logo Maker. 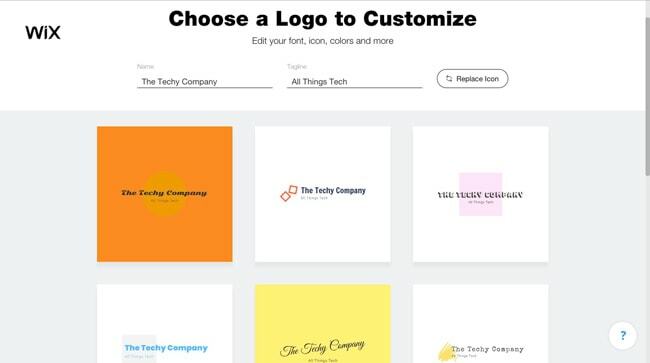 As you have seen, this logo maker is incredibly easy to use. 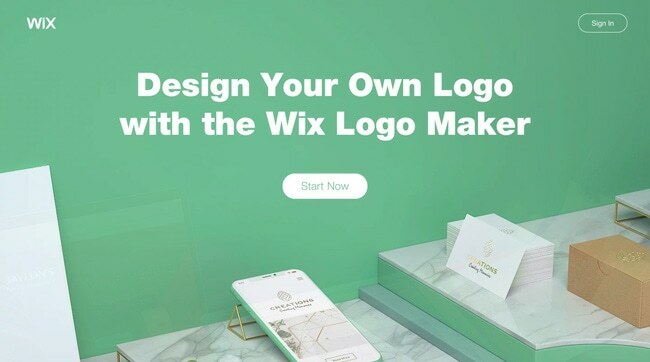 Here’s something we loved: Wix Logo Maker provides you a complete Social Media kit for using the logo. You can simply bring them to your social media pages or widgets. And, as we had said before, Wix Logo Maker has options for Wix website integration as well. Altogether, it feels great as well as refreshing to create a custom-made logo using Wix Logo Maker.